After Marc Guberti’s great blog post, last summer I’m back on the topic of social media. Let’s get some perspective…social media is NOT the marketing panacea. Social media is only ONE tool in your marketing toolbox. 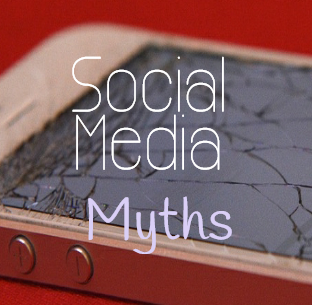 Myth 1: Social media sells stuff. Wrong – Social media does not sell stuff. That’s not how it works. There is an 80/20 rule with all social media: 80% sharing content, engaging with people and saying nice things about them, 20% self-promotion. Myth 2: I have to be on all the social media channels. Wrong – choose the ones that your customers are on. Choose as many as you can realistically manage: 2 – 3 max. Myth 3: I need as many followers as I can possibly get. Wrong – it’s better to have a small number of engaged followers, than thousands of duff ones. Myth 4: I have to be on it all the time. Wrong – Be regularly and consistently present. Studies show that 3 Tweets a day at regular intervals will reach 30% of your audience. Facebook updates can be weekly. It’s better to be organised and be on social media for a few short bursts a week than ‘feast or famine’. Myth 5: It takes too much time. Wrong – It takes as long as you allow it to. You control it, not the other way around. Plan in short bouts of activity using scheduling software such as Hootsuite or Tweetdeck (learn more about this in my workshops). That way you only need to dip in weekly, spend half an hour scheduling some pre-planned content and respond quickly to anyone who communicates with you directly. Set up your profiles so you get a notification when someone contacts you, deal with it and then get on with your day job once more. Don’t waste time treading the social media stepping stones. Myth 6: No one is interested in what I have to say. Wrong – of course they are, you’re full of stories! Have a plan for your content in the way you would plan any project. Share news, facts, images, blog content, inspiration, videos, quotes etc. But whatever you do, don’t just post ‘buy my thing’, copy-paste-repeat – we all hate in your face advertising! 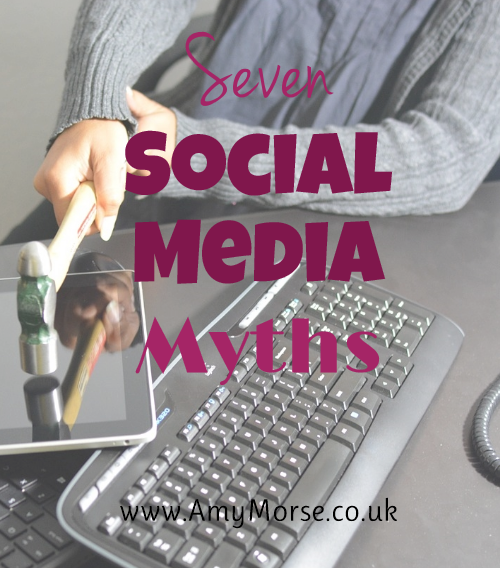 Myth 7: I can get famous on social media. Wrong – Anyone famous on social media was famous before. Social media is a communication tool not a place to show off to the crowd. Like these tips and want some more? 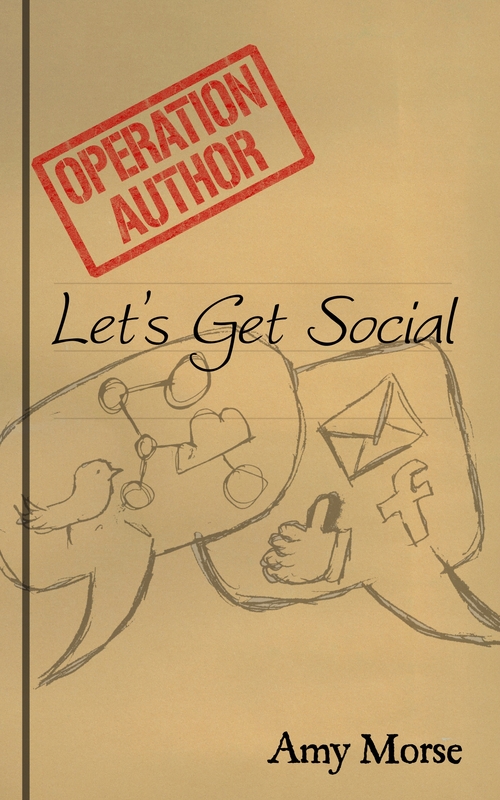 I’ve compiled my most popular posts about Social Media in this eBook, available now from Amazon. Well done Amy I totally agree with you, especially the 80/20 rule as you dilute your message otherwise. Though I have found non sales conversation harder on twitter this year than in the past. Thanks for this tips! I like the idea ‘to have a small number of engaged followers, than thousands of duff ones’. As it was mentioned in one of your posts, we must know our fans. Everything is not for everyone.